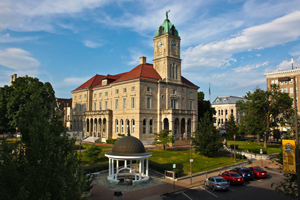 Not many places in the Shenandoah Valley have small town charm and top-shelf amenities like Harrisonburg, Virginia. Surrounded by mountain views, visitors will find trendy, locally-owned restaurants, museums, art galleries and a beautiful, historic downtown. The city is is within reach of outdoor recreation, golf, hiking and biking. Our Civil War history sites, historical attractions, artisan and specialty shops keep many travelers coming back to enjoy the history and heart of the area! With James Madison University, Eastern Mennonite University, and Bridgewater College, the city offers visitors a wide selection of concerts, plays, art exhibits, and lectures generally associated with larger municipalities.